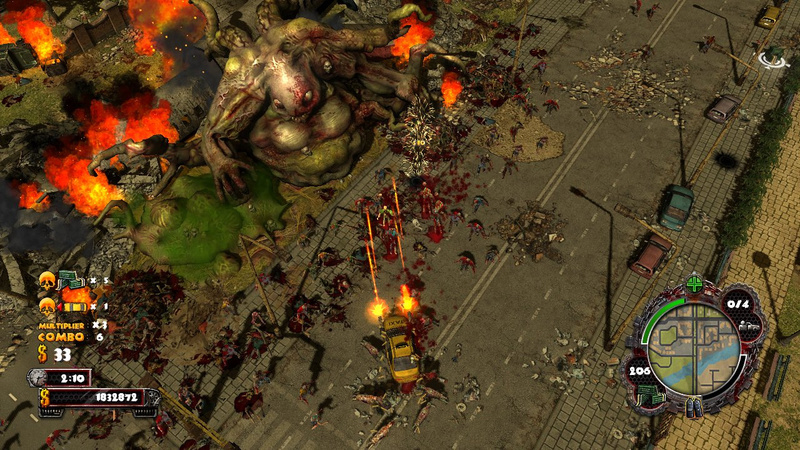 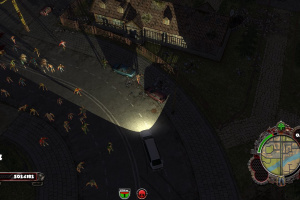 Fight your way through the streets of a zombie infested city to save the survivors of a disastrous chemical accident that changed most of the city's population into mindless brain hungry monsters. 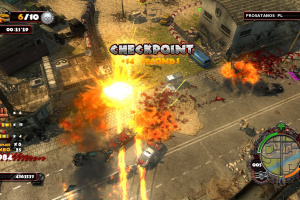 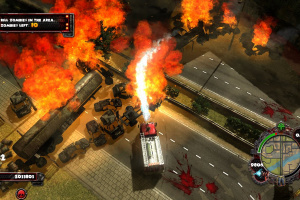 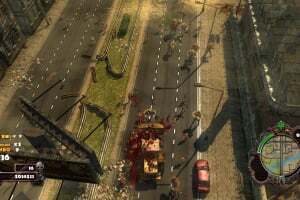 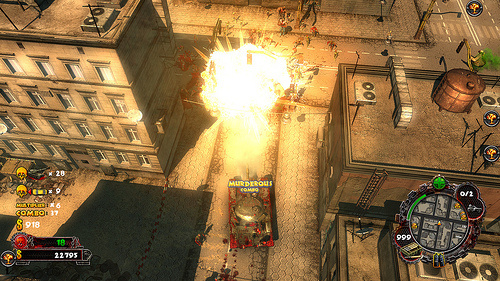 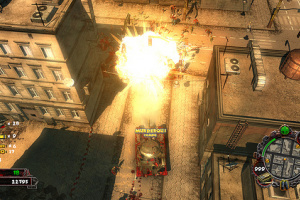 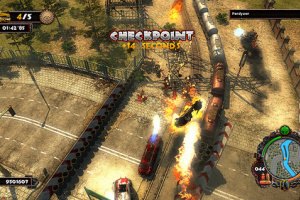 Time is the enemy and your car is a weapon as you race through the streets smashing everything on your way including fences, phone booths, street lamps and hordes of zombies. 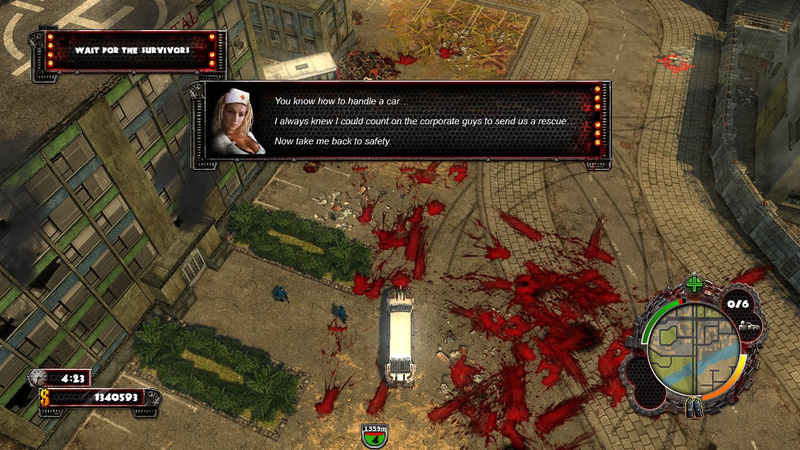 If you get tired of rescuing people, take part in the Blood Race tournament. 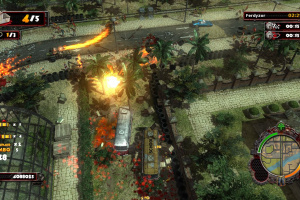 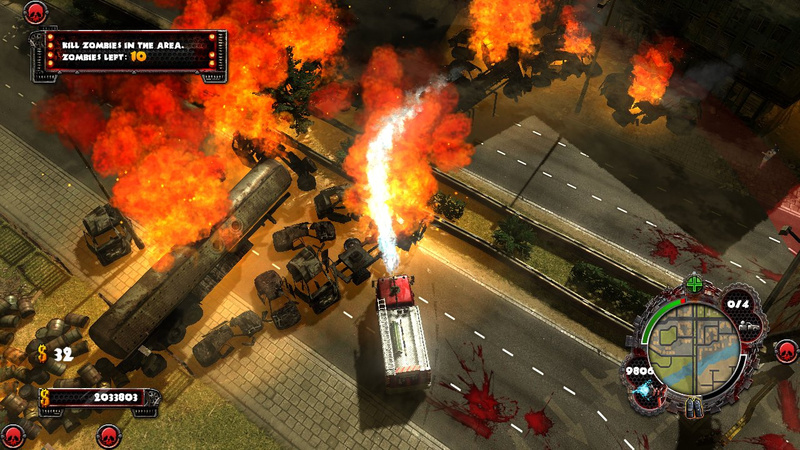 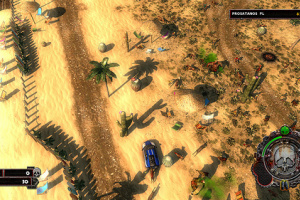 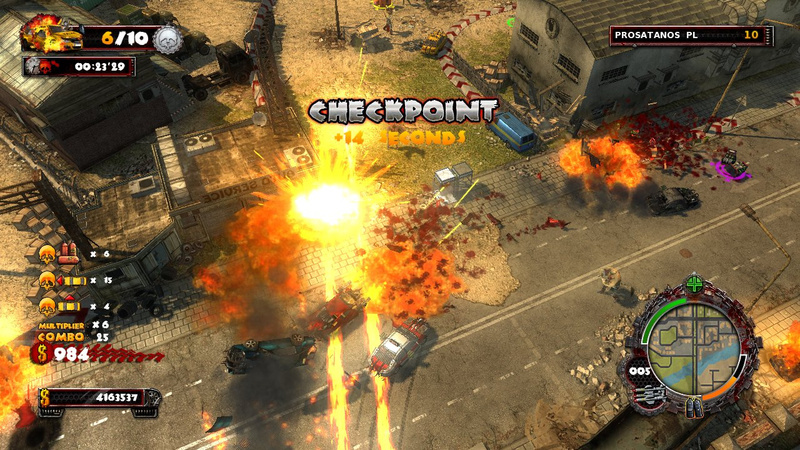 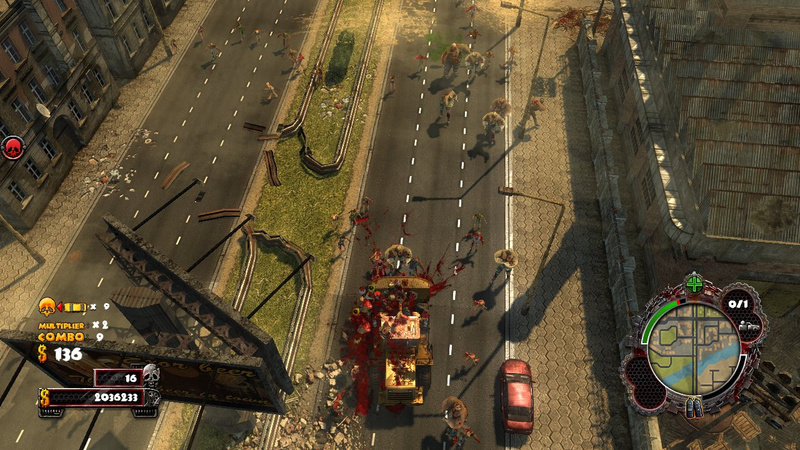 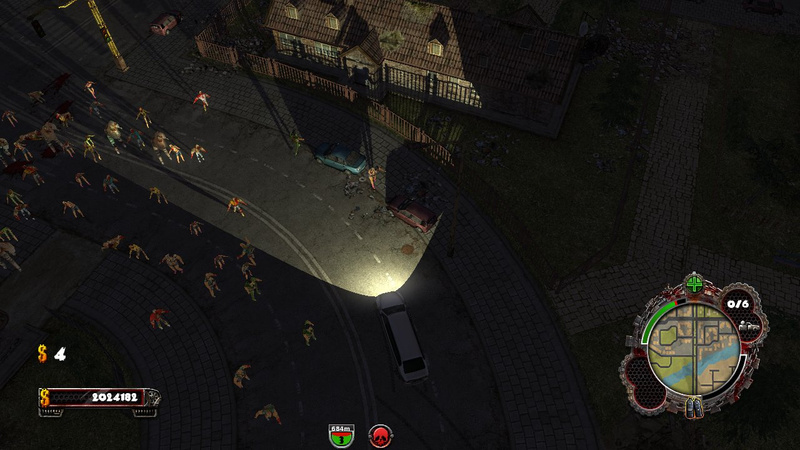 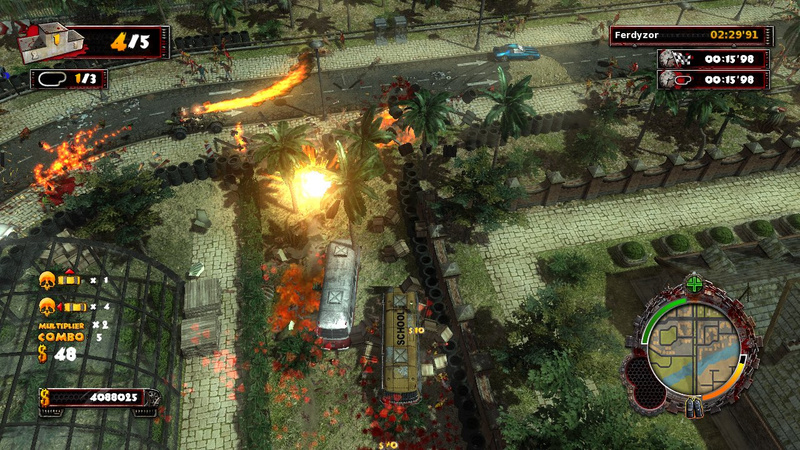 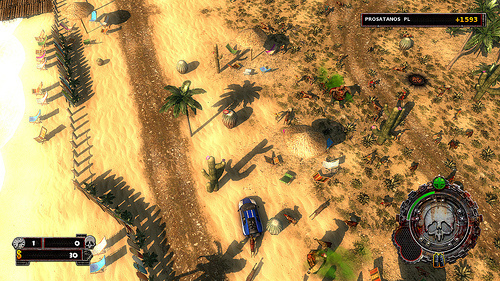 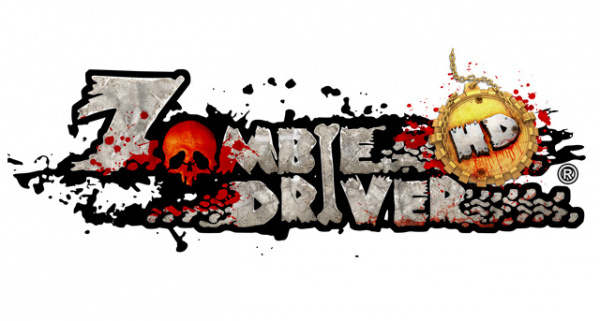 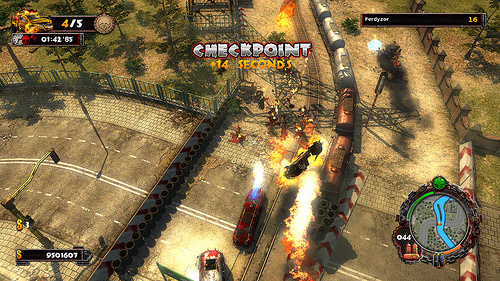 Chase other cars and take them down without mercy on special racing tracks populated with the zombie horde. 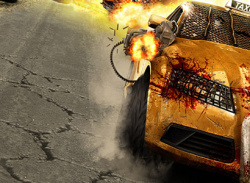 Earn loads of cash while you progress through the events, unlock new rides and purchase weapons of mass destruction to become the ultimate Blood Race leaderboard champion. 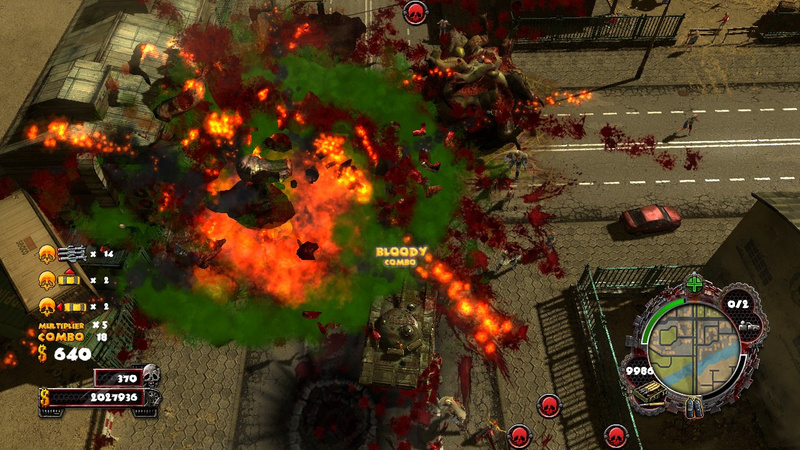 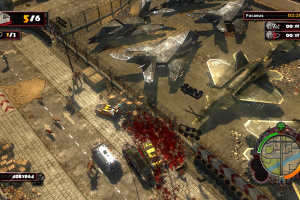 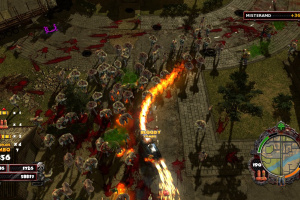 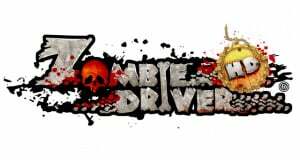 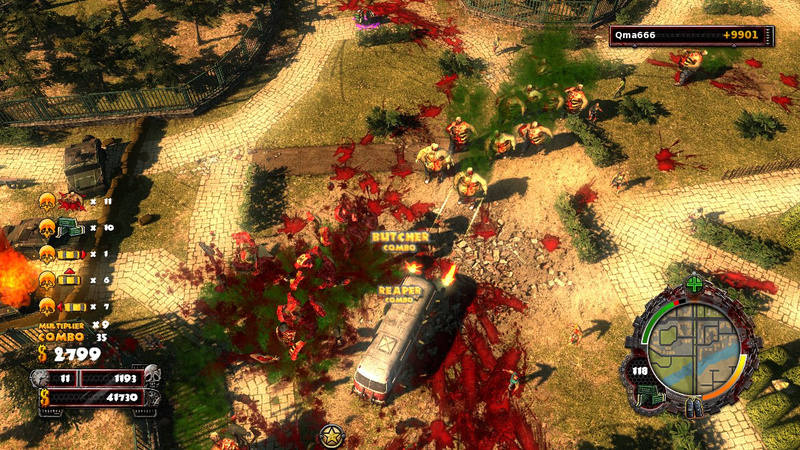 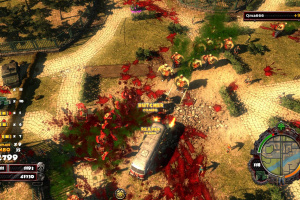 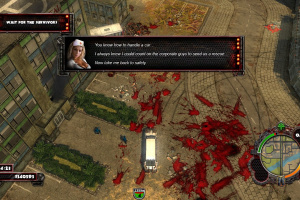 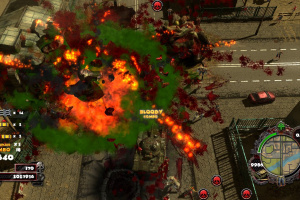 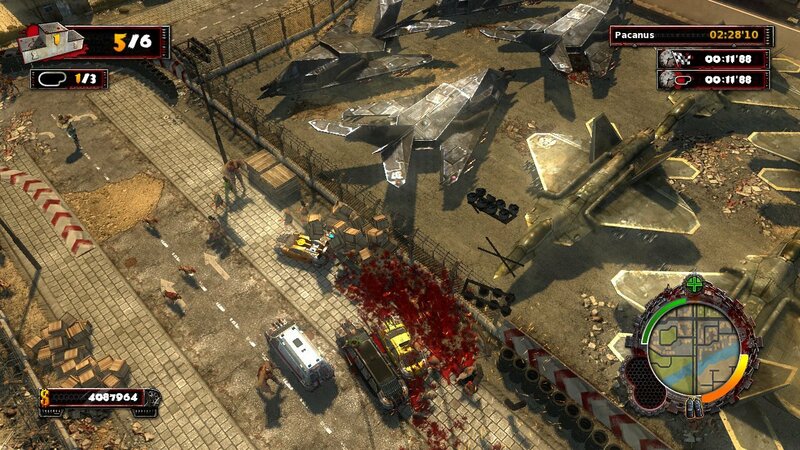 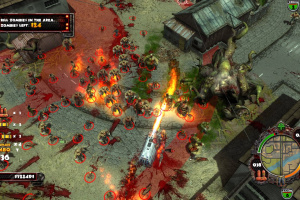 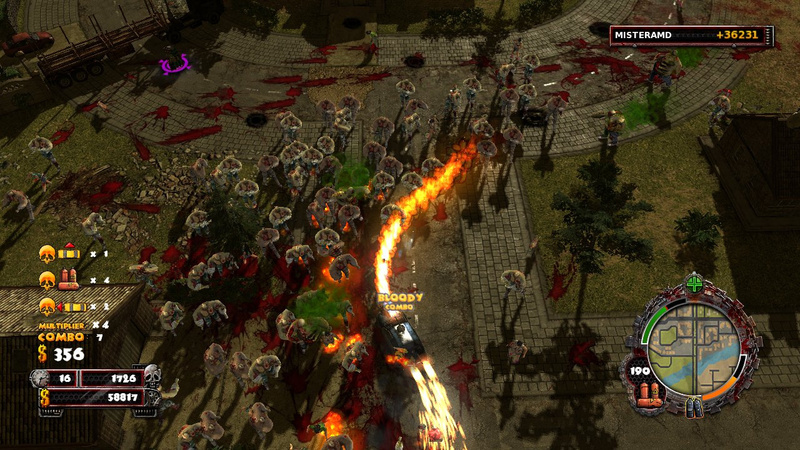 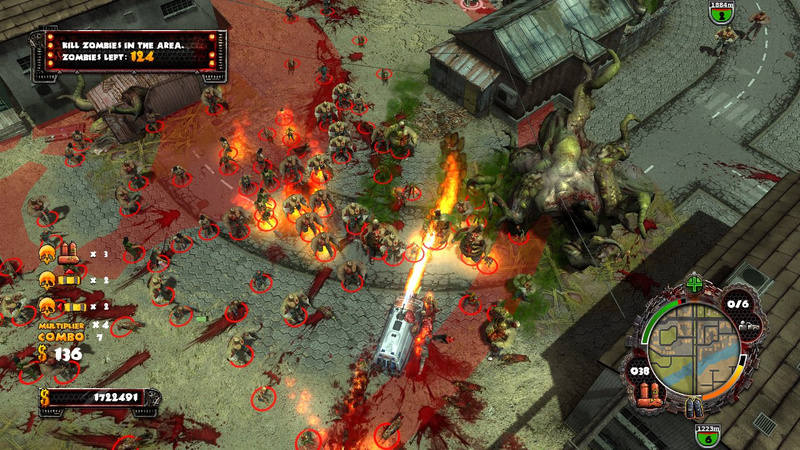 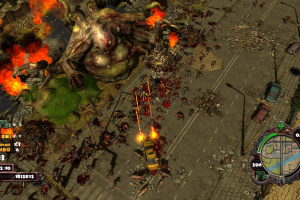 If the car chases and speed runs are not your thing, jump into the Slaugher mode where your objective is to survive as long as possible while ramping up enormous kill combos and annihilating endless waves of zombies on specialy crafted arenas.